If you need a new 48 volt battery charger for your Bad Boy Buggy, Fairplay or Tomberlin golf cart? Look no further – This Lester 48 volt 13 amp Golf Cart battery charger from Lester electrical is the best value for your money. Especially when combined with BatteryPete’s free freight policies. Lester Electric designs and builds the best darn chargers for your golf cart. This model is designed for ALL 48-volt golf carts (any year) that require a crowsfoot connector. All Links Series chargers are MADE IN AMERICA. 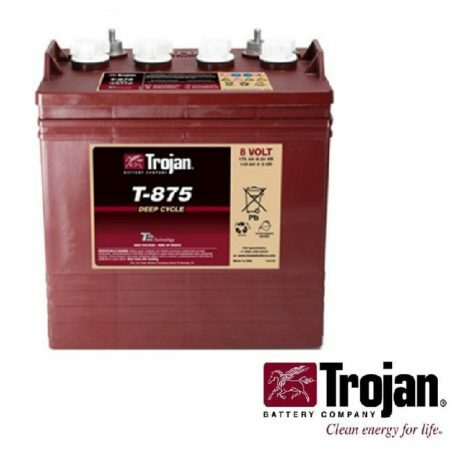 Need a new 48 volt battery charger for your Bad Boy Buggy, Fairplay or Tomberlin golf cart? Look no further – This Lester 48 volt 13 amp Golf Cart battery charger is the best value for your money. Especially when combined with BatteryPete’s free freight policies. Lester Electric designs and builds the best darn chargers for your golf cart. This model is designed for ALL 48-volt golf carts (any year) that require a crowsfoot connector. Some popular models are the Fairplay Golf Cart, Bad Boy Buggies, or the Tomberlin Golf Cart. (See below to determine if your golf cart is 36 volts or 48 volts.) if you come to find you have a 36 volt golf cart. Whether it is a Club Car or even a 36 volt Yamaha golf cart you will need the 36 volt version with the crowsfoot connector. Click Here. This is one heavy-duty Industrial grade 48 volt battery charger. 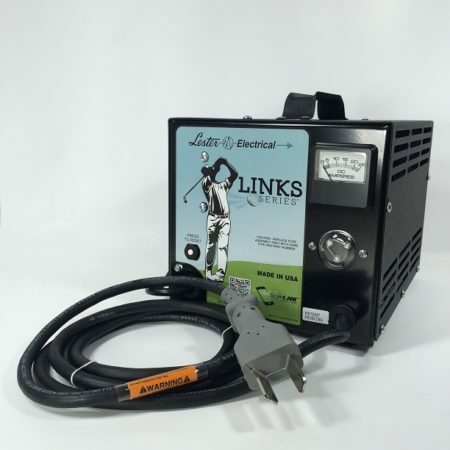 This Links Series golf cart battery charger can monitor your batteries state of charge. Giving you peace of mind when your cart is not being used for an extended period of time. Basically this golf cart battery charger can detect the exact voltage within your golf carts battery system and apply the proper amount of voltage and amperage when needed. (Why does my battery charger need to stay connected to my golf cart battery bank when not in use for extended periods of time?) Links Series Chargers were designed specifically for use with golf carts and utility vehicles. 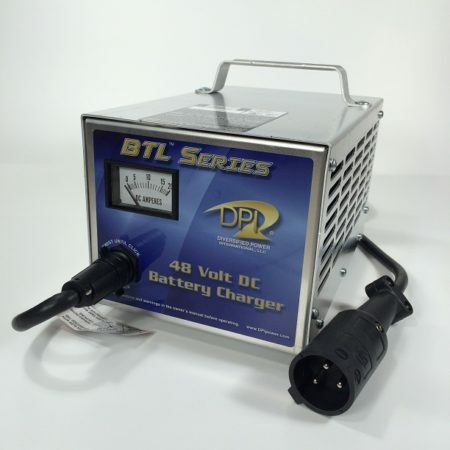 They are available with a wide variety of DC plugs, making this 48 volt battery charger compatible with most golf carts and utility vehicle models, including those from E-Z-GO, Club Car, Yamaha, and other leading vehicle manufacturers. Due to Lester Electrical’s unrivaled reputation for quality and reliability they are the main golf cart battery charger supplier to the leading golf car manufacturers. One of the many reasons that have made the company a trusted supplier for over 50 years. This 48 volt Golf Cart Battery Charger is MADE IN AMERICA. Be the first to review “48 Volt Golf Cart Battery Charger Lester 48V 13A Links Series Crowsfoot” Click here to cancel reply.